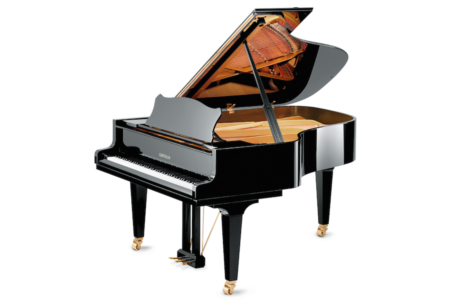 Pianoworks offers a wide selection of Upright and Grand Pianos. A perfect, pre-owned Estonia is hard to find. 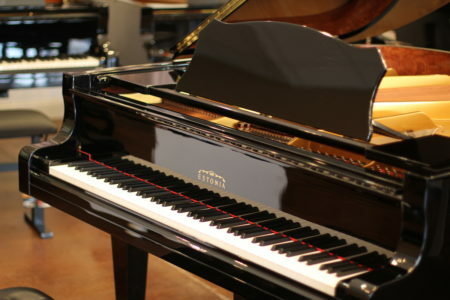 We sold this piano originally in 2011, so it is very nearly new with many of the latest improvements to the design. For anyone that has played a new Estonia recently, this piano is a must see. The most recent addition to Estonia’s lineup is this model L210 that has sent waves through our industry and led to further refinements across all of Estonia’s grand pianos. Designed for serious performance of any genre, Estonia still surprises shoppers with its amazing value. The Estonia L190 grand piano is an ideal choice for large living rooms, music rooms, teachers studios, chamber halls, recording and professional studios. These models meet the most professional and advanced performance requirements. Available in polished ebony, matte ebony and selected wood finishes by request. The (6’3″) Estonia model L190 is suitable for passionate musicians that appreciate the full tone, the wide dynamic range and the tonal color found in the greatest classical & jazz pieces. 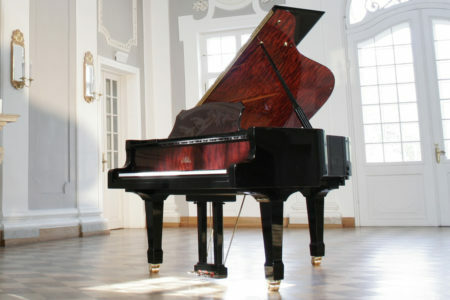 This unique Estonia model Viktoriaan is the first of its kind from Estonia Piano Company. 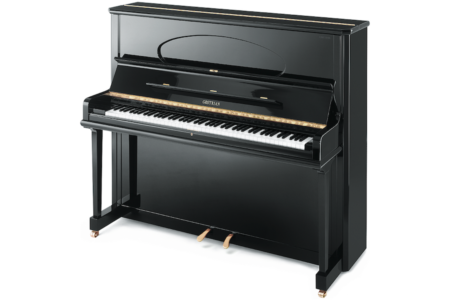 The Victorian legs, lyre-shaped pedals and scrollwork music desk have become a timeless piano style. The accents of Karelian birch, matched along the inner rim, the under side of the lid, and on the lid prop compliment the the golden hues of the harp, the European spruce soundboard, and the beautiful hardware throughout. This instrument has sold. Visit us to order this piano design or to create your own unique piano. 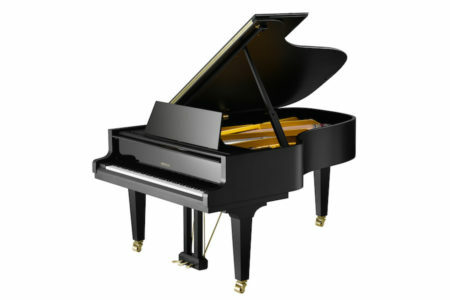 The highly anticipated Estonia model L225 was introduced to the U.S. in January of 2011 to fantastic critical reviews. 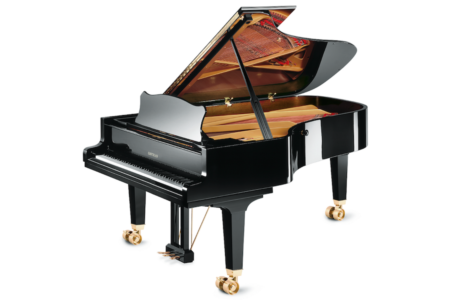 The L225 offers all of the range needed of a semi-concert grand piano. The Renner action gives the pianist the finest control from ppp to fff. 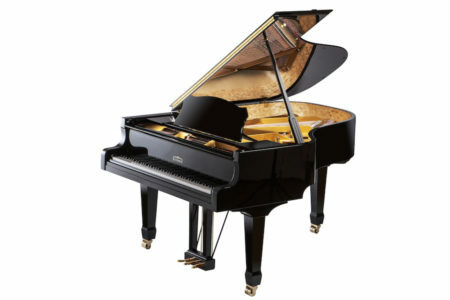 The Estonia model L225 offers a hand-crafted instrument of the finest quality for all to enjoy. This is the must-play piano before you go any further. 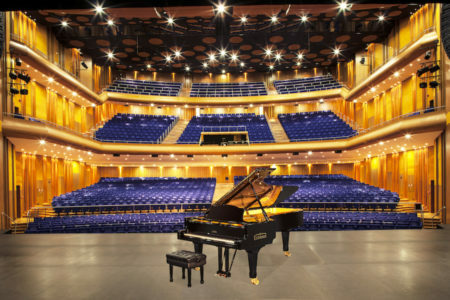 Over seven thousand five hundred Concert Grand pianos have been made in Estonia, which is probably the largest number of such concert grands made by an European piano factory. Enjoy this demo. Estonia pianos are rare gems, but rarer still is their “Hidden Beauty” model. 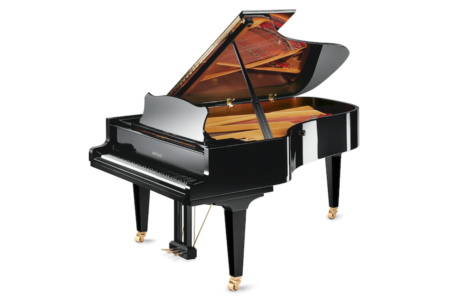 In the “Hidden Beauty,” the fine polished ebony finish is combined with carefully selected accents of highly figured bubinga veneer only visible when the piano is fully opened. 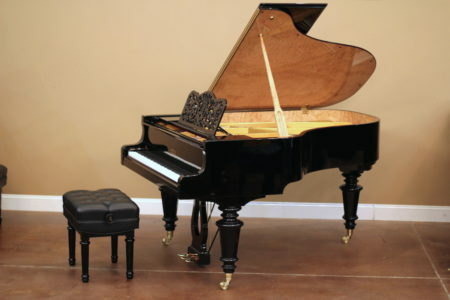 The matching accents are on the fallboard, the music desk, on the under side of the lid, and finally surrounding the inner rim of the piano. The combination is uniquely elegant. Available in all models including L168 (shown) & L190 (most popular). New from Grotrian is the Charis 208 Studio. 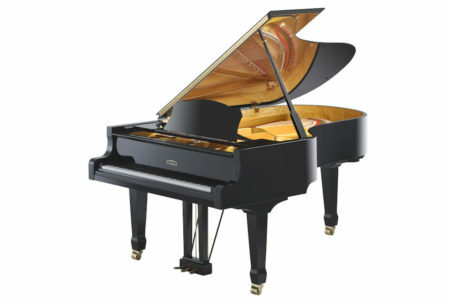 At 6’10”, the Grotrian Charis is an outstanding instrument for all levels of instruction and performance. 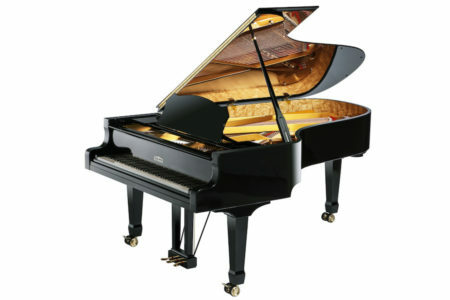 Grotrian Studio instruments benefit first from a unique, scratch-proof matte finish not available from other brands. This tough exterior will reduce the wear of day-to-day use typical in schools, universities, teaching studios & churches. Additionally, the music desk has been redesigned to bear the heavier use also typical of institutions. The Charis has a sound with such an impressive dynamic spectrum and such well-balanced transparency that it becomes a source of inspiration for the pianist. Every Cabinet has its secret. As the years go by it develops its unmistakable character and takes on the personality of the connoisseur – whilst always remaining a Grotrian.